This is a review of the Tamron 15-30 mm SP F/2.8 Di VC USD lens. This post is in no way sponsored or paid for by Tamron or anyone else. I am simply sharing my experience using this lens and why I like it so much. I have known some photographers to look down their noses at third party lenses. Their argument was that they aren’t as good as the first party lenses from Nikon or Canon. This simply isn’t true in 2018. Tamron, along with Sigma, have been releasing some fantastic lenses the past few years. A few lenses, like the Sigma 85mm and this Tamron, are considered best in class by many unpartial observers. So don’t let the brand name steer you away from getting fantastic lenses at half the cost of the big names. My all time favorite lens is the Tamron 15-30 mm SP F/2.8 Di VC USD lens for my Nikon camera. I have owned this lens for about a year and a half and it has helped me create some of my most favorite images that I created over that time. I want to share my experience with this lens. I’ll tell you about what I like about this lens, and what I don’t like about this lens. I will not have any sharpness comparisons, MTF charts, or anything like that. If you are looking for that kind of review, I highly suggest checking out CameraLabs.com. They have great reviews over there that are incredibly detailed reviews. 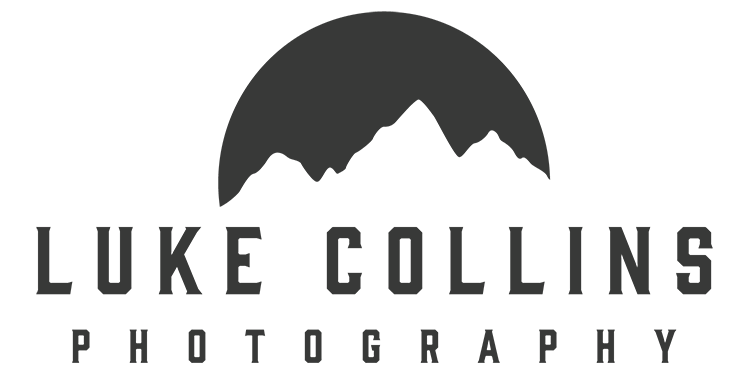 They’re the best in the business in my opinion and I check out their site whenever I am in the market for a new lens. The first thing I love about this lens is it’s large focal range. I’m a big fan of the fact that it lets me zoom from 15 mm all the way to 30 mm. That’s a great range for a wide angle lens! The main competitor (at least in the Nikon ecosystem) is the Nikon 14-24 AF-S NIKKOR F2.8G ED lens. Owning the Tamron means that I have to change lenses less often than if I purchased the Nikon 14-24. Sometimes I’ll be out in the field and need just a little more focal length and it’s really nice that I won’t have to crop in post or switch to my 24-70 lens as much. This lens is extremely sharp. Even wide open at f/2.8 the center to corner sharpness is amazing. I checked out review of the Tamron that compared it to the Nikon 14-24 and the consensus was that the Tamron was just as sharp if not more sharp than the Nikon 14-24. Before I purchased the I owned the Nikon 16-35 f/4 lens, another competing lens from Nikon. That lens was OK but what I really disliked about it was it’s corner sharpness. The corners, especially at 16 mm, were a muddy mess with no detail whatsoever. The Tamron on the other hand is super sharp all over the frame. Like the Nikon 16-35, and all lenses, it is less sharp in the corners wide open, but when comparing the two lenses the Tamron is far and above the Nikon. Since landscape shooters rarely shoot at f/2.8, this is a non issue. When stopped down to f/8-f/22 the corners are pretty much indistinguishable from the center. Just because landscape photographers don’t often shoot at f/2.8 doesn’t mean we wont appreciate it when we do need it. I’m talking about astrophotography. This is a really good lens for nightscapes too. There’s a little bit of coma in the corners but it’s only going to be noticeable to pixel peepers. Overall I am very happy with this lens for milky way photography. This lens is a tank. I think it’s a plastic construction, but it’s really hard plastic. This lens can handle the rigors of landscape photography. I love sunbursts (ie sunstars) in my photos. I think this lens produces very nice ones. It also handles flare from shooting in to the sun quite well. This lens has an extremely close minimum focusing distance of 11 inches. That will give you the freedom to get as close to the ground or your subject as you’ll ever need to be. Vibration control (VC) is Tamron’s name for what Nikon calls vibration reduction (VR) and Canon calls image stabilization (IS). This isn’t something I would ever use for landscapes so it’s almost always turned off. However, it is useful for wedding receptions so it’s a nice feature to have available. Of all the pros of this lens, the price is definitely the one that stands out the most. This lens costs only $1200 USD! The Nikon 14-24 sells for $1900 USD for a new one and a used one goes for about $1400 at B&H. So you can get a brand new Tamron, which is every bit as good if not better, for less than a used Nikon 14-24. That’s pretty amazing. And the Tamron will have a 5 year warranty! There’s a lot to like about the Tamron 15-30, but it’s not perfect. There are a few things that hold this lens back. Make no mistake, this lens is big and heavy. It will add 2.43 pounds (1.1 kilograms) to your kit and to your bag. But this size and weight it not unheard of. It’s pretty comparable to just about all other pro-grade DSLR lenses. If you are a distance hiker or like to keep your kit as light as possible, you might want to look at other options. You’ll have to weigh your options (no pun intended) and see if you are willing to give up performance for saving some weight. This lens also has a large bulbous front element. This element kind of sticks out in front of your camera. So you have to be extra careful when handling this lens, especially when in the field. I always keep the cover on it when I’m walking around with this lens. This will help make sure no branches or anything else scratches up the lens. The bulbous front element means you will likely need to get a special filter system for this lens. Your current circular or even 100 mm square filters will not fit on this lens. If filters are a must for you then you’ll want to look at 150 mm filter systems from Lee, Nisi, or others. I don’t use many filters in my photography and I only use a few circular filters so I haven’t tried filters with this lens. The cost of the 150 mm systems is prohibitive for me at this time but I would love to someday have a filter system for this lens. I have known some photographers to look down their noses at third party lenses. Their argument was that they aren’t as good as the first party lenses from Nikon or Canon. This simply isn’t true in 2018. Tamron, along with Sigma, have been releasing some fantastic lenses the past few years. A few lenses, like the Sigma 85mm and this Tamron 15-30, are considered best in class by many impartial observers. So don’t let the brand name steer you away from getting fantastic lenses at half the cost of the big names. The Tamron 15-30 mm lens is my go to lens when I need a wide angle focal length. There is not another wide angle lens on the market today that I would trade this lens for.